Katrina will be opening the SLC Jazz Festival with the Night Star Jazz Orchestra on Friday July 28th at the Gallivan Center in Salt Lake City, Utah. Katrina’s set will be a tribute to the great Ella Fitzgerald in honor of Ella’s centennial of her birth this year. Katrina Cannon and the Night Star Jazz Orchestra are honored to pay tribute to Ella Fitzgerald at the Salt Lake City Jazz Festival. Katrina has performed for the SLC Jazz Festival, Utah Arts Festival, Park City Jazz Festival, Excellence in the Community events, as well as hundreds of private events across the Wasatch front for the past fifteen years. Randy Madsen, trombone, is the leader and manager of the Night Star Jazz Orchestra. 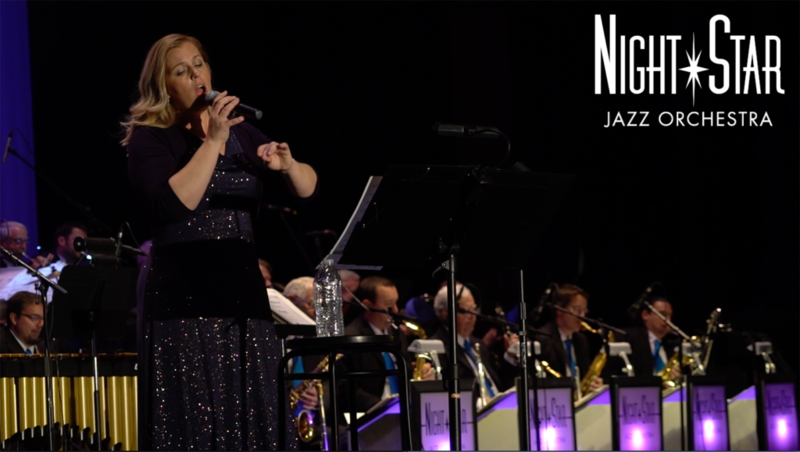 Night Star Jazz Orchestra is made up of world class jazz artists and performers from all facets of the music business; alumni of Disney Land bands, local music teachers, first call studio musicians and members of the local jazz community. Each member of the band has a dedicated history to the study of their instrument and are consummate performers in their own right.